Music plays an important role in the success of the video. Good music can direct better traffic towards your YouTube videos. But, the YouTube algorithm removes the copyright violated videos, and it becomes a big problem for the creators to test the music if it has any rights. Royalty free music is not available for free of cost the creator should pay the payment to use that music in heir video for a long time. It is not copyrighted free music that means the owner of the music might permit to use it for any purpose. But it might lead to copyright infringement. Without considering the quality of the music, the license of Royalty free music can be granted. But the quality of the music library will consider the management policies. There is no fixed to royalty free music. The price always depends on the buyer and seller. This music is available to broadcast the different lengths of 5 seconds, 15 seconds 30 seconds and 60 seconds. Sometimes the longer length can be broadcasted. 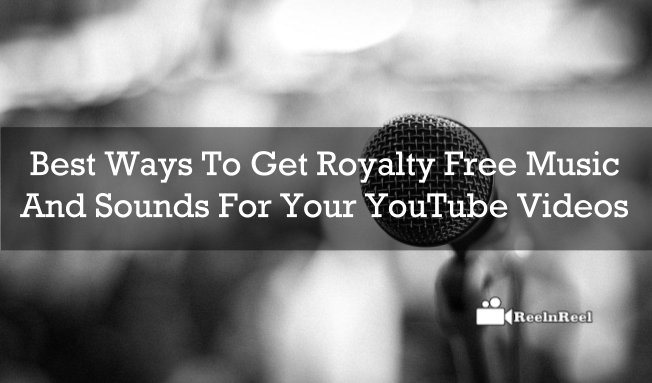 What is Royalty free music and sounds? The Royalty free music is the music that can utilize with the copyright license where the creator will not face any issues as the music will be the licensed one from the royalty free music and sounds. The users can pay for the best music or sounds for their YouTube videos. So that they will not encounter any further risk of copyrighting issues. YouTube audio library is the best place to get the royalty free music and sound for your YouTube videos. Just go to the creator studio from your account, and you will find the option create and in that menu, you will find the audio library. Utilize the tabs and choose the ‘free music’ and sound options at the top corner of the page. If you like the tracks in the library, just click on the download arrow to download the tracks you like in that library. Users can utilize the royalty free music and sounds from the external music library across the web. Filmora, audio jungle, and Music bed are some of the third party royalty free music sites across the web. the pricing and the cost of the license are completely depended upon the song and the sound in the particular site. The conditions are also differentiating from one site to one site. The only thing that you should focus is to search for the right song that can be perfectly apt for your videos. Therefore choose the best royalty free music to become copyright free on YouTube platform.